Crash to Creativity: The New Deal in Vermont sheds light on an important, under-studied aspect of our state’s history, focusing on the role of many government sponsored New Deal projects in fostering a culture of creativity and innovation in the Green Mountains, 1933-1943. The many artists, writers, and civil workers whose products were funded through the New Deal, helped document the state’s history, record its conditions during the Depression and attendant recovery, and build the infrastructure that continues to benefit us today. 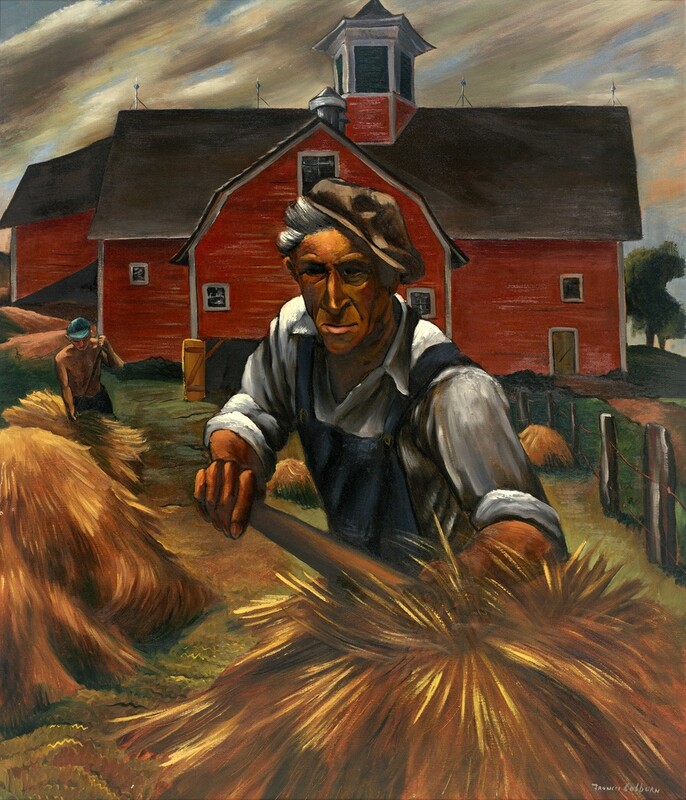 The exhibition will feature paintings by Francis Colburn, Ronald Slayton among others, photographs, furniture from Civilian Conservation Corps (CCC) cabins, archival documentation of New Deal projects such as letters, as well as transcriptions and audio recordings of Vermonters created by the Federal Writers Project. As seen in the Autumn 2018 issue of Antiques and Fine Art Magazine, an article by Bennington Museum Curator Jamie Franklin. Read it here. Commentary by Tom Slayton, Ronald Slayton’s son as heard on VPR Thursday, October 4. Listen or read it here. As seen in the Mountain Times (Killington, VT) Home column, written by Marguerite Jill Dye. Click Here. In the Fall issue of So Vermont Arts & Living, Crash to Creativity: The New Deal in Vermont received a four-page article. Read or download it here.